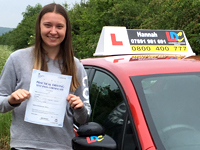 I passed first time with my second driving instructor, Hannah. I can't thank her enough for all the support and advice she has given me throughout our lessons. 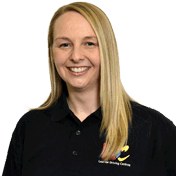 She is a positive, bubbly and friendly instructor who I would highly recommend to anyone! I found the LDC Workbook was useful as it contained clear information on different topics. I also watched some of their YouTube videos which helped me understand what was expected on the day of the test. Thanks again to Hannah for all the help!